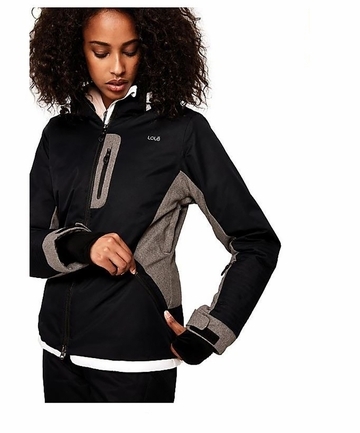 Slip into this high-performance Lole jacket made of breathable, stretch fabric. Designed for comfort, it features a detachable and adjustable hood, a snow skirt and strategically sealed seams sealed to ensure watertightness. Store your ski pass in the zippered pocket on the sleeve.